Buhari rejects same currency for West Africa – Royal Times of Nigeria. 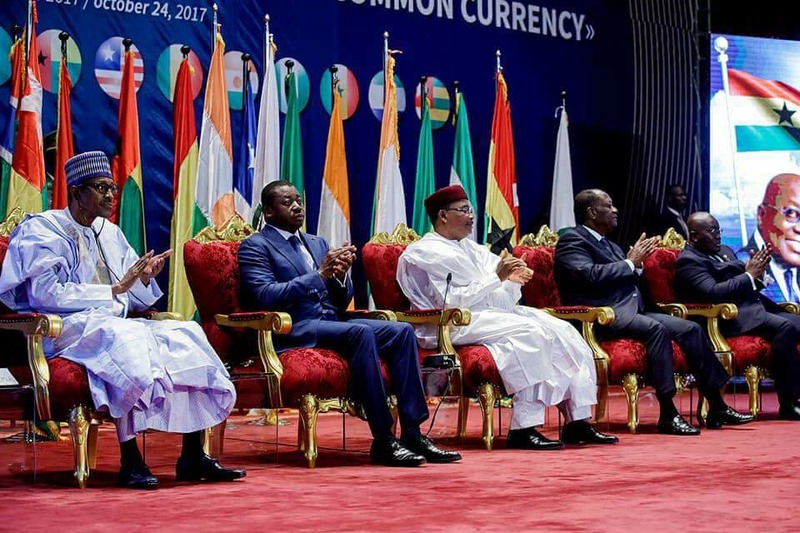 President Muhamadu Buhari on Tuesday in Niamey, Republic of Niger, urged member countries of the Economic Community of West African States to tread carefully in pushing for a single currency for the sub-region by 2020. He cited the challenges faced by the European Union in realising the same goal to buttress his position. According to a statement by his Special Adviser on Media and Publicity, Mr. Femi Adesina, the President made his position known in his speech at the fourth meeting of the Presidential Task Force on the ECOWAS Currency Programme. Buhari said the necessary economic fundamentals among countries continued to differ over the years, making it more difficult to pull through with the project by 2020. “Nigeria advises that we proceed cautiously with the integration agenda, taking into consideration the above concerns and the lessons currently unfolding in the European Union. “To that end, Nigeria will caution against any position that pushes for a fast-track approach to a monetary union, while neglecting fundamentals and other pertinent issues,” the President was quoted as saying. Buhari noted that some of the obstacles to realising the road map for the implementation of a single currency included diverse and uncertain macro-economic fundamentals of many countries; unrealistic inflation targeting based on flexible exchange rate regime; and inconsistency with the African Monetary Cooperation Programme. He said, “Although the ECOWAS Commission has anchored its pursuit of the new impetus to monetary integration on the information presented to the heads of state, which were the basis for their recommendations, we are concerned that we have not properly articulated and analysed a comprehensive picture of the state of preparedness of individual countries for monetary integration in ECOWAS by 2020. “Nigeria had earlier withdrawn from the process because its key questions and concerns were ignored and till date, none of the issues has come up as an agenda issue to be considered by the taskforce. “Consequently, the road map which did not involve widespread consultation with national stakeholders is not sufficiently inclusive,” he added. Going forward with the project, Buhari suggested a thorough review of the convergence road map and the constitution of an expert committee on each of the subject areas to come up with acceptable time frame, defined cost and funding sources identified. “This should also consider stakeholders such as the Ministry of Finance, Customs, parliamentary groups, tax authorities and immigration authorities to achieve comprehensiveness,’’ he said. The President said there should be a push towards ratification and domestication of legal instruments and related protocols, while fiscal, trade and monetary policies and statistical systems, which had not gone far, could be harmonised. Buhari noted that the West African Economic and Monetary Union countries should make a presentation on a clear road map towards delinking from the French treasury. But the President of the ECOWAS Commission, Marcel Alain de Souza, said the single currency for the West African sub-region was a laudable and historical project, regretting that it had taken too long to be actualised. He said the creation of a central bank for the West Coast would accelerate the process.